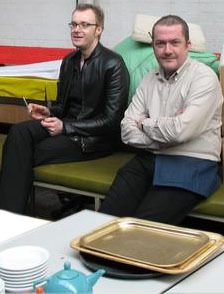 Exhibited at Green Street Warehouse Birmingham April 2007. 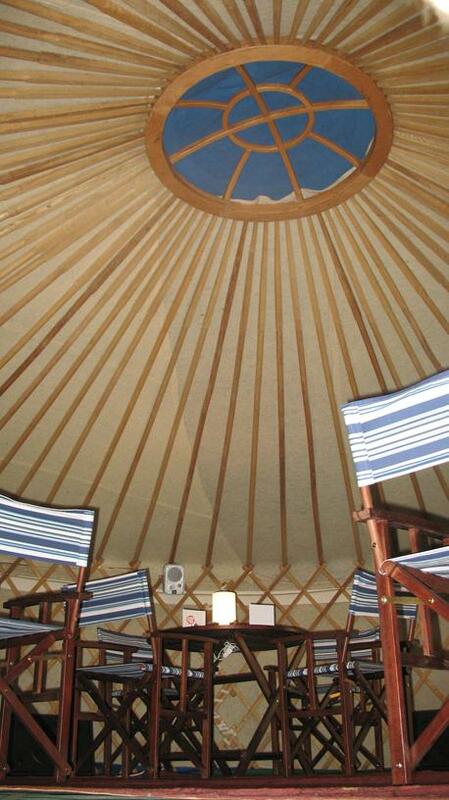 A fourteen speaker sound installation flown around the inner edges of a 21 foot Mongolian yurt. 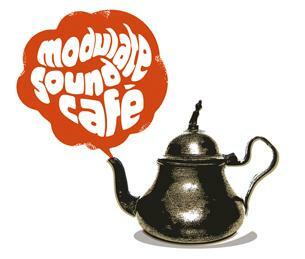 The composition used recordings of cafe linked sound sources including location recordings from independent cafes around Birmingham, capturing the atmospherics and sonic memories of growing up in a cafe in Hay Mills, Birmingham. 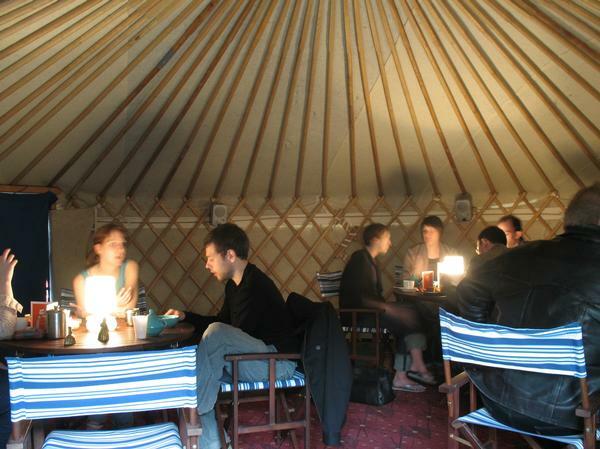 A real cafe was also created within the yurt. 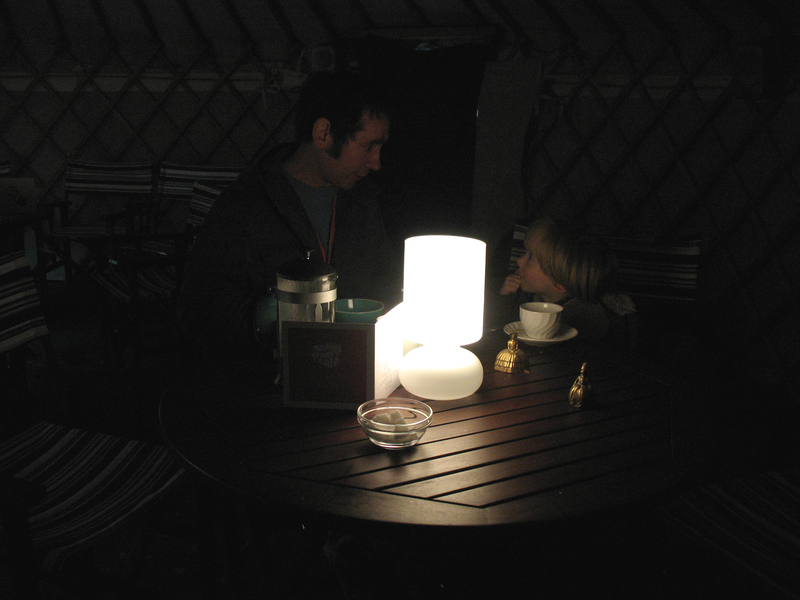 The looped sounds of multiple kettles coming to the boil in overlapping sequence, coffee pots perculating, and teaspoons being stirred in china tea cups, not only travelled from speaker to speaker around the circular yurt space in similar motion to a teaspoon being stired within a cup, but combined with the realtime sound of the cafe audience stiring their own teas and coffees and ringing for service using brass bells placed on each table. 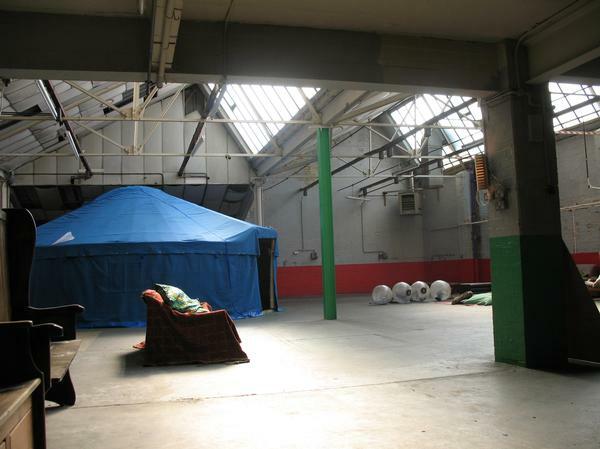 Similarly, the realtime conversations within the yurt blended with the recorded background murmer of conversation within cafes around the city, creating a mesmerising ambience and a sense of hyperreality. Concept, composition and sound design by Bobby Bird. Homemade cakes by Carolyn Moreton. 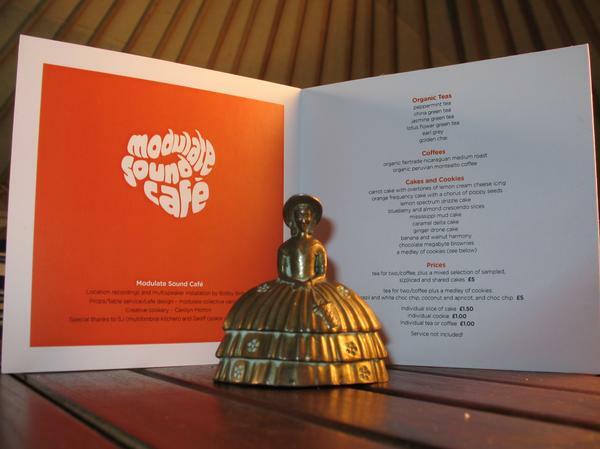 Cafe design and table service by Modulate.